An award-winning journalist, John Henning anchored prime-time newscasts on all three major Boston stations – for three years on Channel 7, nine years on channel 5, and thirteen years on Channel 4. Former Governor Michael Dukakis described him as “a journalist with a capital J.” As a radio and television reporter and commentator in Boston, John Henning was esteemed for his coverage of politics, business and state government during his 25 years in local media. 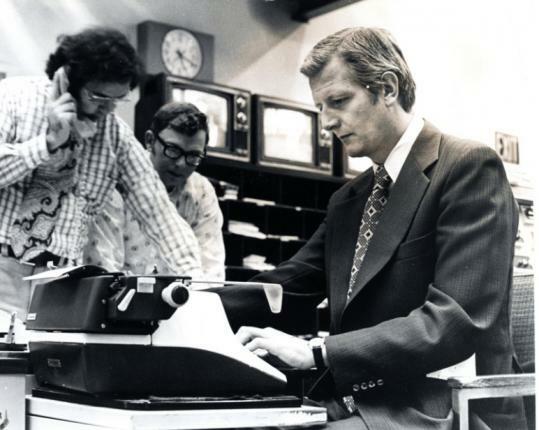 Before joining CBS4 in 1981, Henning was an anchor and reporter for WCVB-TV and WNAC-TV. He also worked as a news and sports reporter for WGBH-TV, Boston’s public television station. Henning covered numerous citywide, statewide and national elections and is the recipient of many awards for his reporting and analysis. In 1995, Henning received the Governor’s Award for Excellence in News Reporting from the Boston/New England Chapter of the National Academy of Television Arts and Sciences. He served on the National Board of Directors of the American Federation of Television and Radio Artists (AFTRA), was president of the Boston Press Club and was selected as a Distinguished Alumnus of the College of Communication at Boston University. Henning held a master’s degree in Broadcast Journalism from Boston University and a bachelor’s degree in English and Political Science from Saint Peter’s College in Jersey City, New Jersey. In early 2010 he was diagnosed with a precancerous bone marrow condition. He died on July 7, 2010 at the age of 73.